Land Energy is now a Proud Supporter of the United Nations Educational, Scientific and Cultural Organisation’s (UNESCO’s) newest, and only, Scottish Biosphere. The Galloway and Southern Ayrshire Biosphere is the first ‘new style’ Biosphere in Scotland and one of only four in the UK. Biospheres have three main functions; conservation, learning /research, and sustainable development. 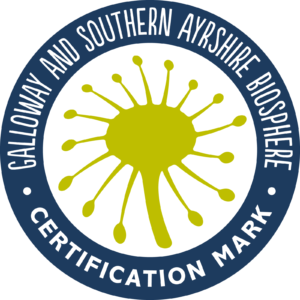 Supporters are ultimately awarded a Certification Mark which businesses use to demonstrate their commitment to high standards in environmental and sustainable development which benefit the Galloway and Southern Ayrshire UNESCO Biosphere – put simply, to those businesses that minimise their impact on the environment. Land Energy is committed to genuine sustainable business within the local region. All of its staff, support network, supply chain and spending – comes from within a 60-mile radius from its base in south west Scotland. While the global pellet industry has been subjected to some negative publicity, small scale producers using locally sourced timber can demonstrate that they have a well-proven and ultra low carbon production model . 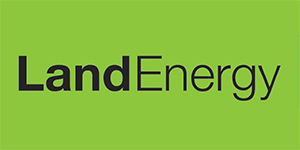 Land Energy produces around 100,000 tonnes of wood pellets a year out of its own factory in Girvan, Ayrshire which utilises the waste heat from their combined heat and power plant located next door. This combination ensures a finished product, that even after accounting for diesel used in haulage of the finished pellets, shows a net carbon displacement versus heating oil or LPG of >95%. Land Energy’s commitment to the local environment reflects UNESCO’s identity and aspirations. Soon its own brands Woodlets and Sorbeo will carry the Certification Mark on all of its packaging. ‘Ultimately, we want to demonstrate to customers that we are a business which invests in its local community and which is dead serious about sustainability’ says Hugh Montgomery.